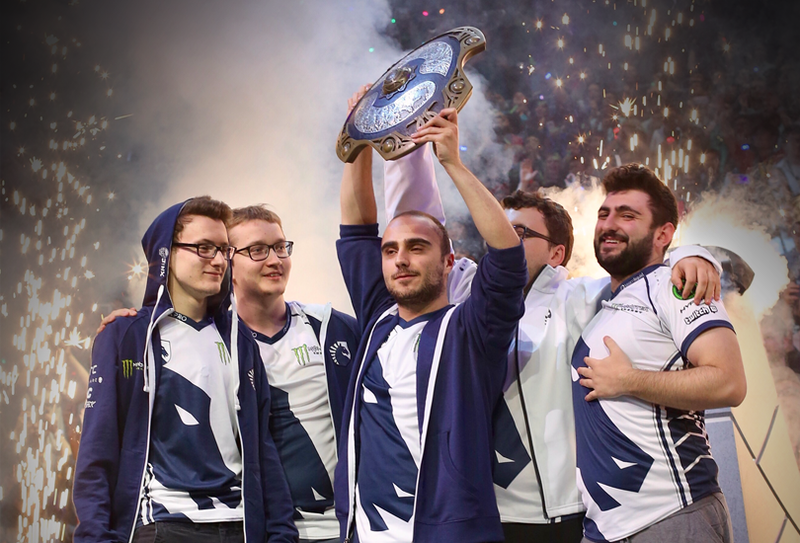 Congratulations to Team Liquid, Grand Champions at The International 2017. Team Liquid were one of six direct invites to this year’s tournament, arriving in Seattle with high expectations built upon strong results at recent events. Captained by a veteran who has competed in The International every year, Liquid established themselves early and never lost a series in the Group Stage. They scored 2-0 victories off of iG.Vitality, Fnatic, Infamous, Team Empire, and Team Secret; and earned 1-1 draws against EG, LGD, and TNC to finish with a group-best record of 13-3. The main stage, however, would present a more daunting challenge, as Team Liquid stumbled to a 1-2 loss at the hands of Invictus Gaming in the Upper Bracket Quarterfinals. The loss dropped them into the Lower Bracket and set up a do-or-die run through a string of six straight elimination series, forcing Liquid to outlast an aggressive Team Secret, send home an Empire squad that had bested EG, and overcome a relentless VP in one of the most intense matchups of the tournament. Not done yet, Liquid’s next elimination series saw them draft some lesser-used heroes to down LGD 2-0 and reach a Lower Bracket Finals vs Group B’s strongest team — LFY. Despite losing a drawn-out Game 1, Liquid held fast against LFY for a 2-1 series victory and a trip to the Grand Finals, where Upper Bracket winners Newbee were already waiting. There, Team Liquid would perform the first-ever Grand Finals sweep in The International’s history, besting Newbee’s elite lineup 3-0 to claim the Aegis of Champions and secure their status as world’s best. If you missed any of the tournament, or just want to relive some of the incredible moments and breathtaking plays, head over to The International site, where you can find replays for every match. There are also loads of photos and videos from the event over on the Media page, our TI7 Youtube playlist, and the Dota 2 Flickr. We would like to thank all of the players, talent, and everyone in the Dota community for helping bring this celebration of our shared passion to life. The International continues to be the crowning moment of the competitive season, and without everyone’s support, none of this would be possible. We hope you enjoyed this year’s tournament as much as we did. With The International 2017 now behind us, it’s time to turn towards what comes next. In a few weeks, we’ll be releasing more details on the coming competitive season, including tournament schedules and other relevant information to help get players and fans ready for another unbelievable year of Dota.